A happy illustration of two penguins from our collection of penguin wall stickers to decorate the bedroom or play area of the little ones. 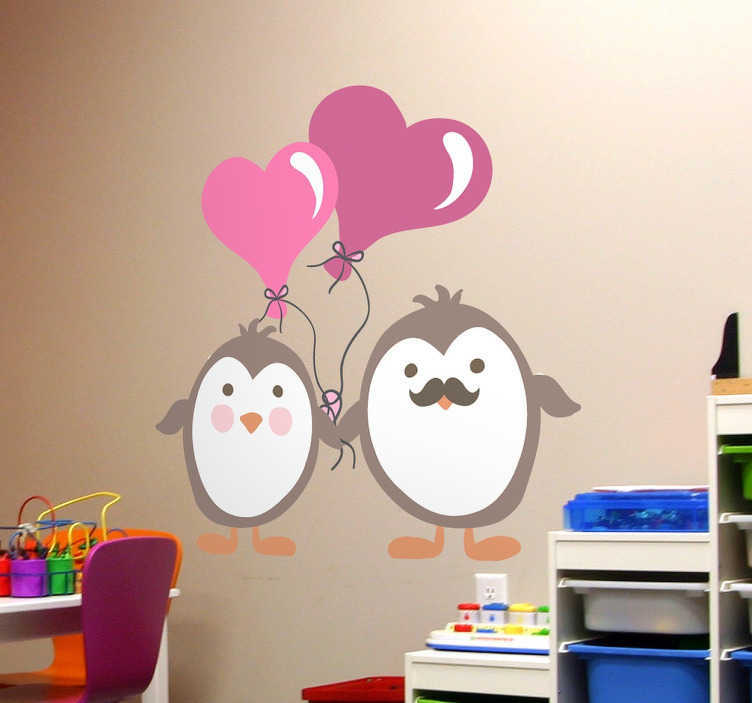 If your kids love penguins and their bedroom need some wall decoration then this penguin decal is perfect to give their space a unique appearance along with a lovely atmosphere that they will love! This penguins with balloons design is available in various sizes. Easy to apply and leaves no residue upon removal.